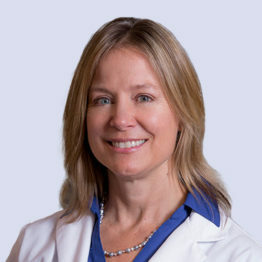 Dr. Hrach earned her medical degree from Case Western Reserve University in 1992. Dr. Hrach has been involved in research projects at institutions such as Harvard University and the Centers for Disease Control. Dr. Hrach was certified by the American Board of Internal Medicine in 1995 and maintains certification through CPDP. Dr. Hrach was elected into fellowship of the American College of Physicians in April 2005. 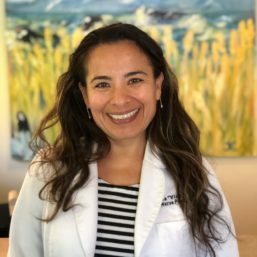 Virgina Diaz Pagenkopf (Vicky) is a certified Family Nurse Practitioner (FNP). She graduated from UCLA in 2009. 35 combined years of outpatient Internal Medicine experience in Santa Barbara. Medical professionals certified by their respective national organizations. Beautiful office across the street from Cottage Hospital and Pueblo Radiology. Medical professionals trained at highly respected medical institutions. Medical professionals who care about your health and well-being. Telehealth visits, MD accessibility via text, email or phone. A very accessible, knowledgeable, internist. She has been available in the off hours for emergencies. Her staff, especially Marisela, are easy to contact and helpful. Dr. Hrach is an excellent doctor in every way. Thank you and “Vergelt’s Gott” always for your extraordinary considerations. I feel blessed that my life is in your hands. Last, but not least, your office “crew” is the finest. Special thank you to Marisela and Jeneva. Dr. Hrach-Thank you for solving a problem I have faced for literally 50 years. And with no meds - a dietary change! It has made a BIG difference and changed everything for the better. I've been a patient of Dr. Hrach for years - and I can honestly say she is the best doctor I've ever had. She listens, she's incredibly knowledgeable, she cares and she always makes herself available. Just as important, her staff is unlike any I've experienced. Particularly her MA Maricella, who even gives painless shots! And the office manager Jeneva - a one of a kind, highest quality customer service person. It's not one of those medical offices where the staff barely acknowledge you when you walk in for your appointment. When I walk in to Dr. Hrach's office, I actually feel so glad to be there, and like the staff is incredibly happy to see me! And when I'm sick or if I have any questions, I call the office and Jeneva takes care of everything immediately - I have never experienced a staff person so committed to providing truly exceptional service. If you are seeking a wonderful doctor and staff experience, I strongly recommend you make an appointment with Dr. Hrach and you will understand my sentiments, and experience a medical office that will change the way you view health care. Dear Dr. Hrach, I just want to say how much I appreciate your sitting down with me the other day, and talking with me about my current condition. Giving me that time, attention and interest was reassuring and I left feeling more calm and confident than when I came. I am grateful to have you as my doctor... and everyone in your office is super pleasant and helpful... I feel extremely lucky to have found you so long ago and be in your care!